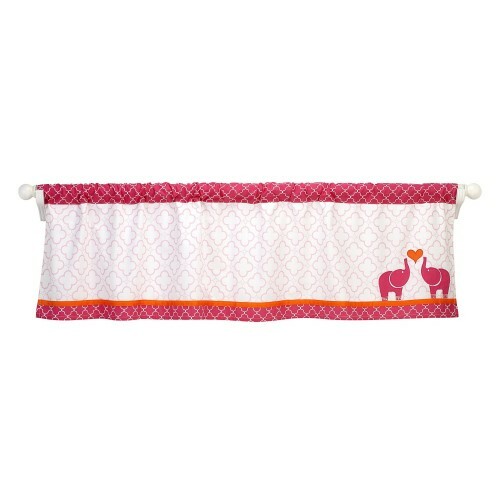 This window valance from Happy Chic Baby by Jonathan Adler fuses retro patterns and a bright color palette in shades of pink, orange, and white. 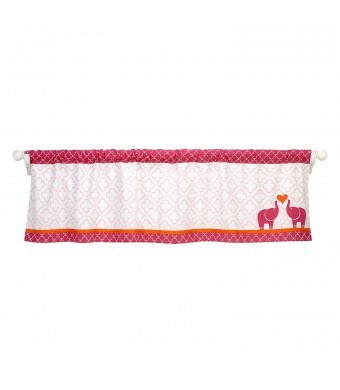 Includes pink and orange elephant applique, as well as tabbed rod pockets. Combine with additional Party Elephant bedding and room decor to create a nursery that's always glamorous, always colorful, and always chic.